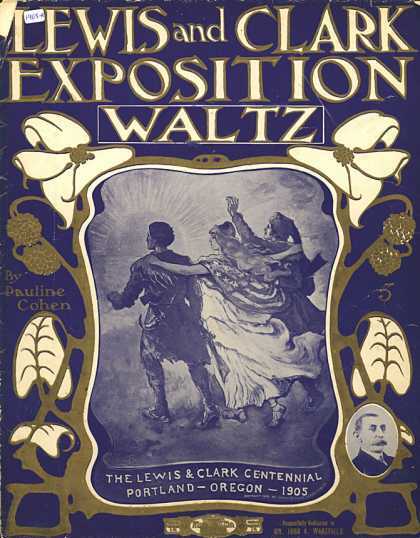 Some great musical artists have taken on the Lewis & Clark Expedition as their theme. I don’t pretend to know every CD out there, but over the next few weeks, I’d like to post a little about favorites from my collection and what I love about them. For a great write-up on the music and instruments of the Corps of Discovery, check out Music On the Trail from the Discovering Lewis & Clark site. And if you know of other great artists, be sure to leave a comment so we’ll be able to check out more excellent musicianship! Plus, stay tuned for a terrific guest post from a Lewis & Clark fiddler and reenactor who will give us a behind-the-scenes peek at what it takes to recreate musical history! Ken Burns revolutionized the art of the historical documentary way back in 1990 with his stunning “The Civil War.” One of the elements that enabled Burns to create a sense of emotion and tragedy was the skillful use of both period and original music. In particular, the elegiac “Ashokan Farewell” underlies almost an hour of the drama; as any battlefield tourist can attest, it is now almost impossible to see a cannon and not hear its mournful strains running through your head. 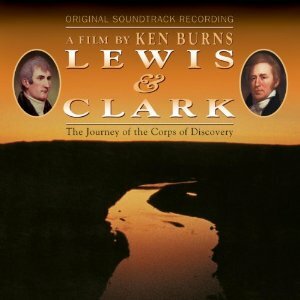 If anything, Burns outdid himself with the 1997 soundtrack for “Lewis & Clark.” Using only the finest musicians, Burns wove a tapestry of underscoring music and created a mood that was simultaneously adventurous, inspiring, and wistful. This is one of my favorite CDs in my whole collection, and led me to discover many other recordings of early American music by the featured musicians. “Heart of the Heartland,” used as Meriwether Lewis’s theme, makes me tear up every time I hear it. 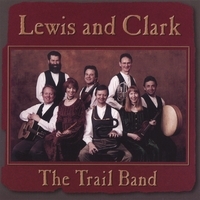 The Trail Band, headed by Marv Ross, is a Portland-based band that specializes in the historic music of the West. Played with verve, humor, and meticulous attention to detail, the songs on this album are mostly traditional with a few original compositions. This album is great not only for experiencing the the music the Corps of Discovery might have played on the trail (and heard from the Indians), but also the chance to hear long-lost instruments with names like the sausage bassoon, walking stick recorder, and dudelsack. And check out The Trail Band website for traditional Christmas music and albums on the Oregon Trail and other historical topics. Recommended for: Fans of traditional Americana. It would also be great for playing in a classroom while students worked on their Lewis & Clark projects. 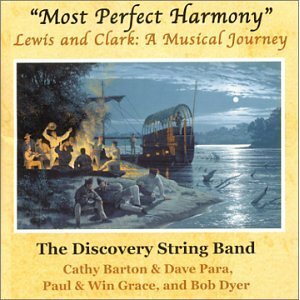 The Discovery String Band was a collaboration of five outstanding traditional musicians from the Boonslick area of Missouri to perform, and record, traditional music of the Lewis & Clark era. The traditional tunes are great, but I think the real strength of this album is the original songs told from the points of view of members of the Corps. With sensitive, insightful lyrics, lilting tunes, and great musicianship, songs like “After What I Have Seen” (York) and “The Journey Song for Pomp” (Sacagawea), bring alive the emotions of the flesh-and-blood human beings who undertook this remarkable adventure. 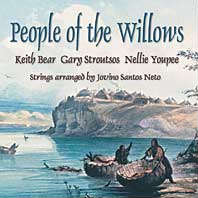 This CD is a collaboration by a supergroup consisting of flutists Keith Bear and Gary Stroutsos and vocalists Nellie Youpee and her daughter Ruth Short Bull, along with the Pacific String Quartet. Together they create magic with renditions of traditional tunes of the Mandan and Hidatsa people, who played host so memorably to Lewis & Clark throughout the cold and dark North Dakota winter of 1804-05. The songs are rendered into modern harmonies and instrumentation to make them more accessible, but the melodies will be new and mysterious to your ears. Recommended for: This is a hard CD to categorize, but an easy one to recommend to fans of Native American, World, New Age, and even classical crossover music. I have also found this CD is perfect background listening for studying, reading, writing, or dinner conversation, because it is both relaxing and engaging to the mind. More music coming next week!